He has over 30 years experience in Hotel & Asset Management , Business Development of Luxury Hotels and Residential Components worldwide. 4 STAR luxury and member of Small Luxury Hotels of the World since 2015 only. Since its new opening in 2012 following a full renovation by the new owners, our strategy is to keep on promoting the Property through national and international market and to guarantee the Hotel visibility through different markets. The Property is also member of SLH since 2015 only and want guarantee a high standard of quality as well. Our strategy is to also keep on offering a gastronomic cuisine with the Chef Stephane Laurin, arrived in 2015. Warm welcome, special attention dedicated to the guests – to make them feel at home – are also part of our philosophy. 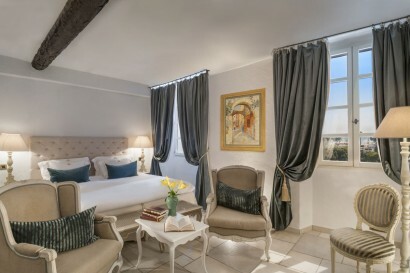 In honor of the famous artists from this region and their intense colors, Château Le Cagnard pays tribute to painters, as the prestigious artists Renoir, Matisse, Picasso and Bonnard by dedicating them its rooms. 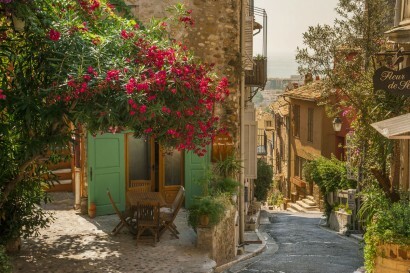 In order to reach the Medieval village of « Haut-de Cagnes », our guest must follow Cagnes-sur-Mer city. When arrived in the city center of Cagnes-sur Mer, our guests will easily find the indication to reach the village of Haut-de Cagnes , wish is located in a upper level of the city of Cagnes-sur Mer, overlooking the Mediterranean sea. When you arrive in the village of Haut de Cagnes, be careful if you use a GPS : do not reach the entrance of the Hotel. – Paking Sainte Anne (public outdoor parking / free of charge). Located at the village Haut-de Cagnes. – Parking Sainte Luce (public outdoor parking / free of charge). 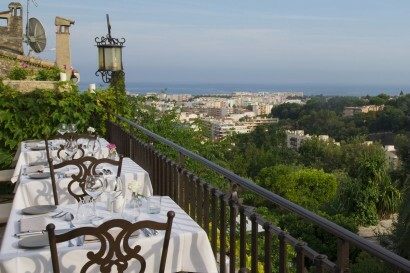 Located in the city center of Cagnes sur Mer. – Severals individuals places of parking through the village (free of charge). – Below the village : public parking « parking de l’Ancien Cimetière”. When park, our guests can call the Hotel. Château le Cagnard team will be happy to join them with car suttle and bring them to the Hotel with the luggages. In case of taxi reservation, this is the best stop. : 81 Montée de la Bourgade – Haut de Cagnes village. Upon arrival, guests or taxi driver can call the Hotel. Château le Cagnard will join the guests, pick them up with the luggages. * Please contact us to get more informations. – Since the Parking du Planastel, along the Rue Xavier Blanc and Sous-Barri. – Since the Place du Château, following the signs and down the steps. A temporary parking spot (20 minutes) is located at the Tourist Office, Place du Château. 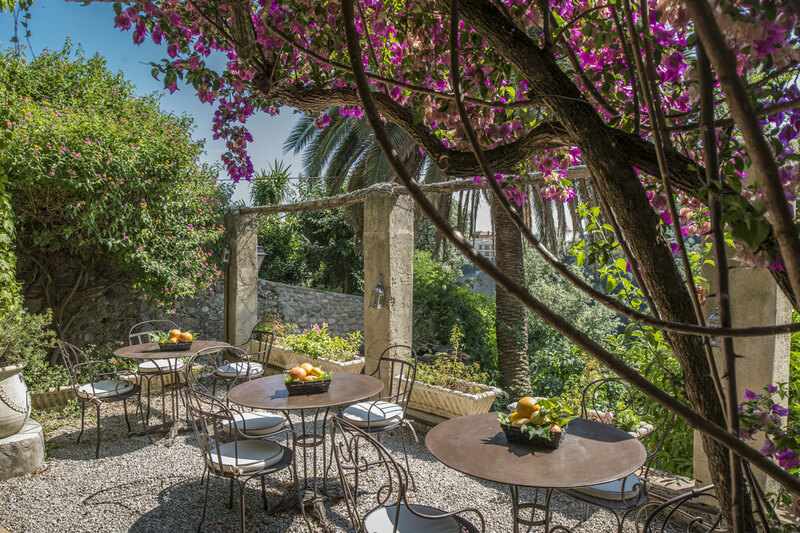 Le Haut-de-Cagnes is located just a few minutes away from the beach and is ideally situated for exploring Nice (10 km), St-Paul-de-Vence (5 km) and other magnificent villages in the vicinity. This, together with its close proximity to the area’s main golf courses and horse track, make the village an essential stopover for any holiday on the French Riviera. Cagnes is also the destination dedicated to Jumping industry. The jumping annual international event is taking place in Haut de Cagnes each year. Since 1945, this village has been a premier rendezvous spot for artists ; Jet set and celebrities from around the world, which led to it being named the «Montmartre of the French Riviera». 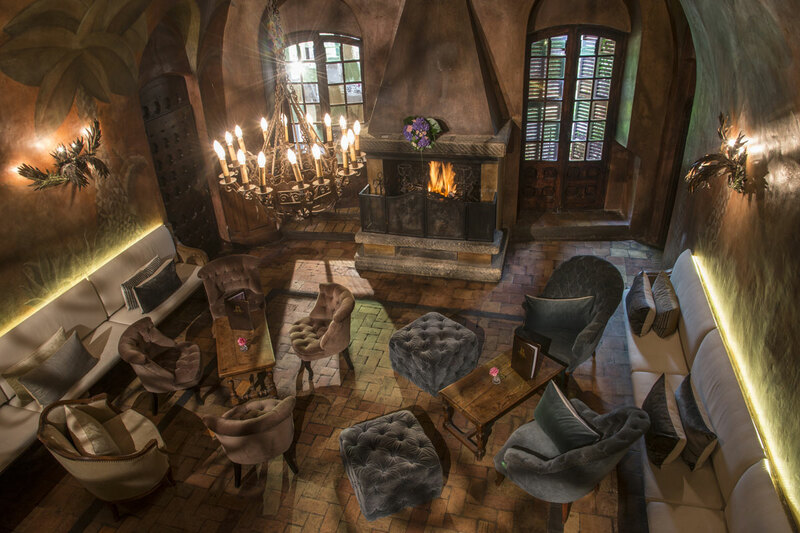 This luxury suite in the Medieval castle is provided with a large terrace overlooking the PACA region, the source of inspiration to thousands of international artists. Decorated in soft colors and using the Provencal stone, this suite is a true haven of peace, located in the heights of Cagnes-sur-Mer. 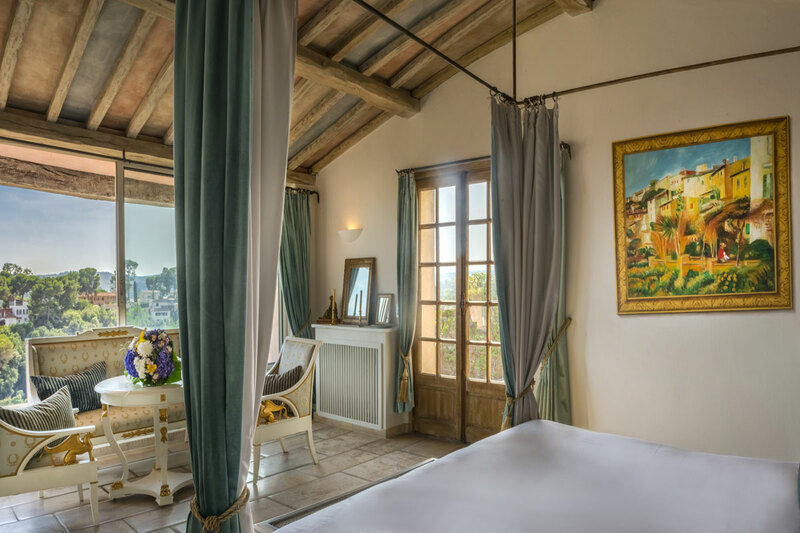 The luxury suite in the Medieval castleis provided with a large terrace overlooking the PACA region, the source of inspiration to thousands of international artists. Decorated in soft colors and using the Provencal stone, this suite is a true haven of peace, located in the heights of Cagnes-sur-Mer. An ultimate expression of excellence. The prestige suite at Château Le Cagnard is a unique place. 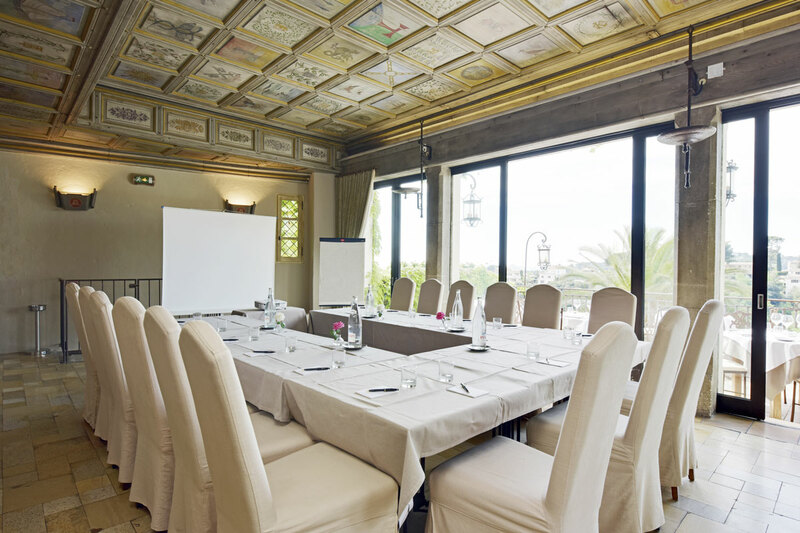 It is the most beautiful room at the Château Le Cagnard. 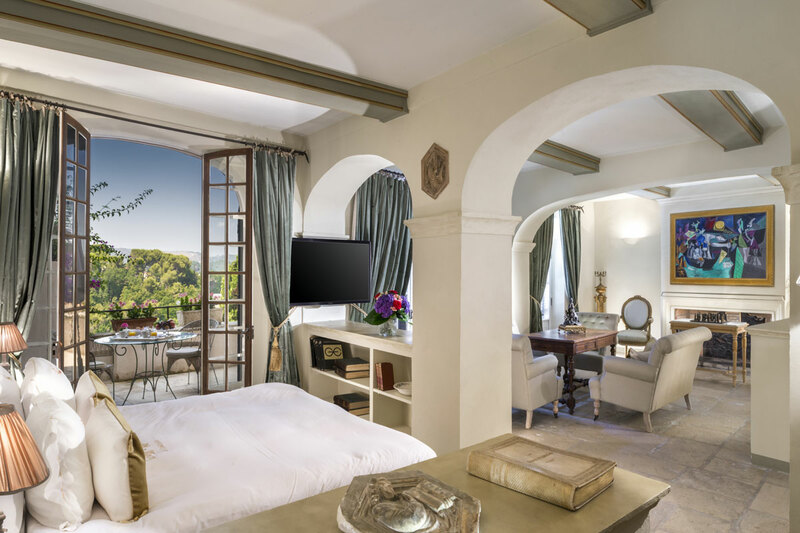 The Picasso suite, in tribute to the father of cubism, and its private terrace offer a stunning view over the valley with a backdrop of the blue waters of the Mediterranean Sea. 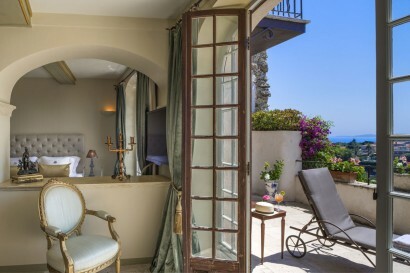 This delightful room (approx.18 m2), with classic Provencal décor, has a balcony with view over the Valley or the Mediterranean Sea, as well as a private bathroom fully equipped to meet your needs. You also have access to free WIFI, safe security, a coffee machine and a telephone. All rooms at the hotel are air conditioned to provide more comfort during the high season. Breakfast is offered free of charge. 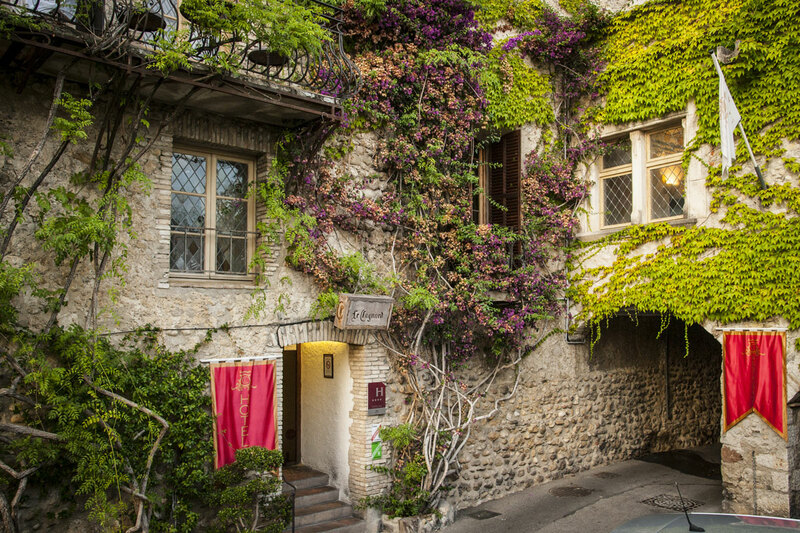 The Superior rooms are double rooms and offer a splendid view over the Valley or the pedestrian streets in the Medieval village. internet access (WIFI), safe and mini bar, LCD TV and coffee machine. 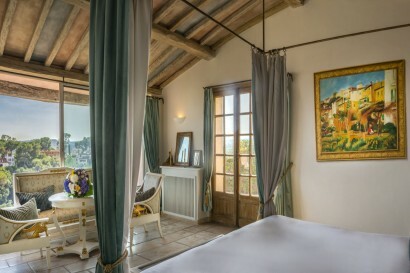 his double room is both charming and romantic, offering a view over the Valley or the sea. As in-room amenities you will find internet (WIFI) access, minibar and safe, LCD TV, coffee machine and cosy bathrobes. • In the warm ambiance of the restaurant, which has kept its original architecture and with a sliding ceiling offering the beauty of the Mediterranean sky, our guests will enjoy both the regional and the seasonal variations of a user-friendly kitchen. 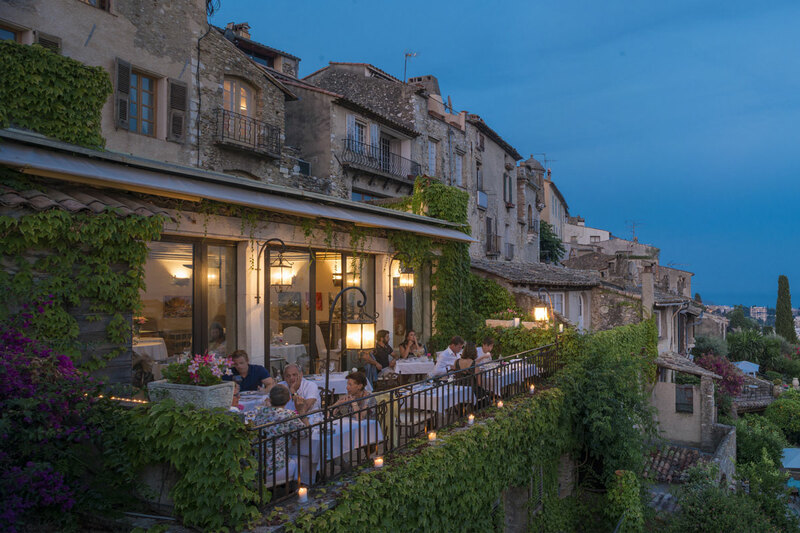 The carefully selected wine list highlights the flavors of Provence. Stéphane Laurin : Executive chef Since 20 years, he successively take place in 2* Michelin restaurants : Hotel de France, Arpège in Paris, and Le Drouant in Paris.He was in collaboration with the executive chef Didier Aniès “ Meilleur Ouvrier de France – MOF 2000 ” and Michelin star-studded, and the pastry chef Luc Debove world champin 2010 et MOF glacier 2011. 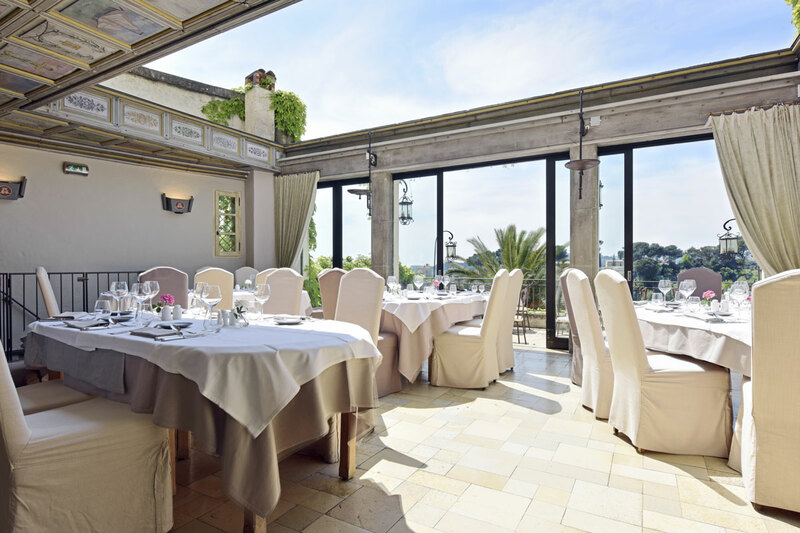 From 1998 to 2013, Stéphane didn’t stop working in prestigious hotels restaurants such as : Château Saint Martin & Spa (Vence), Grand Hotel du Cap Ferrat (Saint Jean Cap Ferrat) et Royal Riviera (Saint Jean Cap Ferrat). The cuisine of Stéphane highlight the flavours through seasonal products while keeping a reasonable price. • Health, well-being and relaxation: massage (on request/pre reservation/ extra service), hairdresser, manicure and pedicure (all exclusively provided in your room), nutritional advice, personal trainer, personal shopping assistant, etc. • Reservations: limousine, taxi, car or helicopter rentals, private excursions, local attractions and events, etc. • Desk services: photocopies, fax, scanning, postal services, translations, etc.